Well we’re used to the freezing temperatures now so how about a Winter’s trip to New York via Iceland? You’d think this would be a pricey feat but Iceland Air is offering return flights from London to the Big Apple for just £299 return. So forget your cheap package holidays to the Med, why not head across the pond and see what one of the best cities on earth has to offer. Now that Continental Airlines is set to pull out of Bristol International Airport and us South West and South Wales folk have to travel to London to head Stateside we may as well claw back some of our UK travel costs with cheap flights. Iceland Express, the only Trans-Atlantic low-fare airline is offering 1,000 seats to New York at a bargain price – just in time for the January sales. 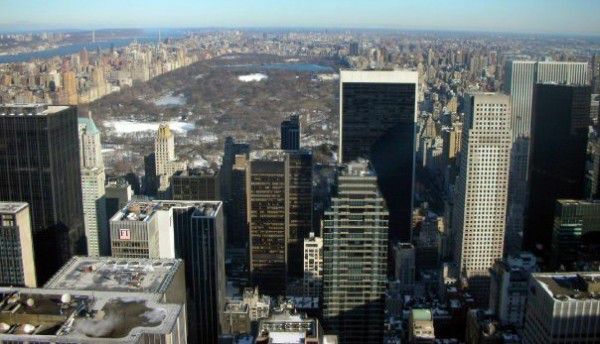 Travellers can escape the busy UK streets in 2011 and flee to New York for the city’s legendary New Year sales from just £299 return. What’s more, Iceland Express also offers the option of a stopover in Reykjavik, a city renowned for colour, life and excitement, as well as designer shops and stylish boutiques. The 1,000 return flights costing £299 are available now and are valid for travel between 7 January and 28 March 2011. Iceland Express currently flies twice weekly from London Gatwick to New York City’s Newark International Airport, via Reykjavik. Starting in May 2011 the schedule frequency will increase, with daily flights between London and New York. Flights to Chicago and Boston will be introduced next June, as well as departures from Edinburgh, Dublin and Belfast. The airline has also just introduced Apple iPads on all its transatlantic flights, allowing passengers to watch films and TV shows, listen to music, read magazines/books and play games. For more information on Iceland Express visit www.icelandexpress.com or call 0118 321 8384.